The Boston Celtics are making moves - not big ones, but moves nonetheless. Sources: The Boston Celtics plan to sign forward Jarell Eddie of G League Windy City to a 10-day contract. Boston filling its open roster spot. Shams Charania of Yahoo Sports reports the Celts are signing 6'7 forward Jarell Eddie to a 10-day deal to fill their open roster spot. 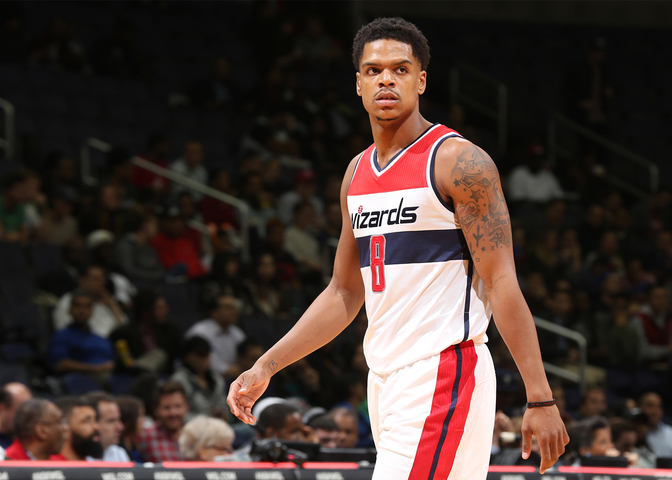 Eddie, who went undrafted out of Virginia Tech in the 2014 NBA Draft, is not exactly an impact player despite previous stints with the Washington Wizards and Phoenix Suns. Jarell has been spending his days with the Windy City Bulls in the NBA G-League this season, where he's averaging 17 points and four boards per game while shooting a blistering .449 from deep on over six attempts per game, so he could in theory contribute to the deep rotation to provide some scoring and spacing, but it's also a possibility he may be filler for an anticipated trade. It likely does not signal the Celts will eschew using the Disabled Player Exception they still possess, as waiving Eddie will be a non-factor if needed.